As chefs, we have always appreciated eating local, but we also love cooking local. We love being a Murfreesboro caterer, and for us cooking local means providing excellent hospitality to our local clients and being committed to the community that’s embraced us. While we often cater in Nashville and Davidson County as well as Brentwood and Williamson County, we think there’s something special in cooking for the people who are part of your smaller community, and for us that’s everyone who calls Murfreesboro home. 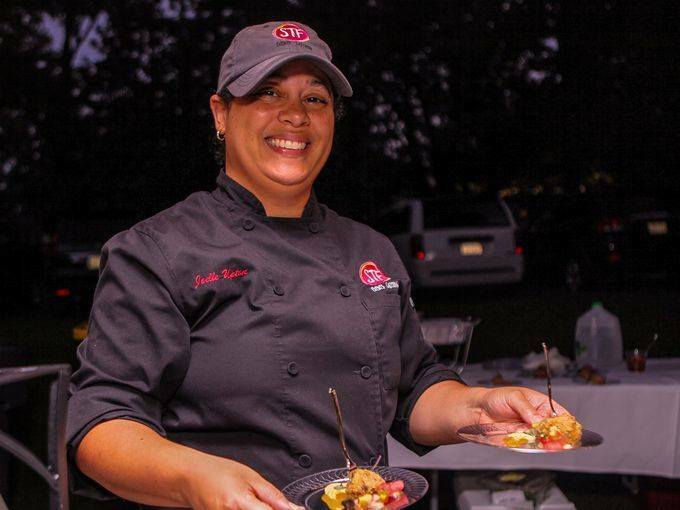 STF Events & Catering has been serving clients, couples, and corporations for 12 years. For the last eight years our kitchen has been located in Rutherford County, and the last two of those we’ve been based in Murfreesboro. 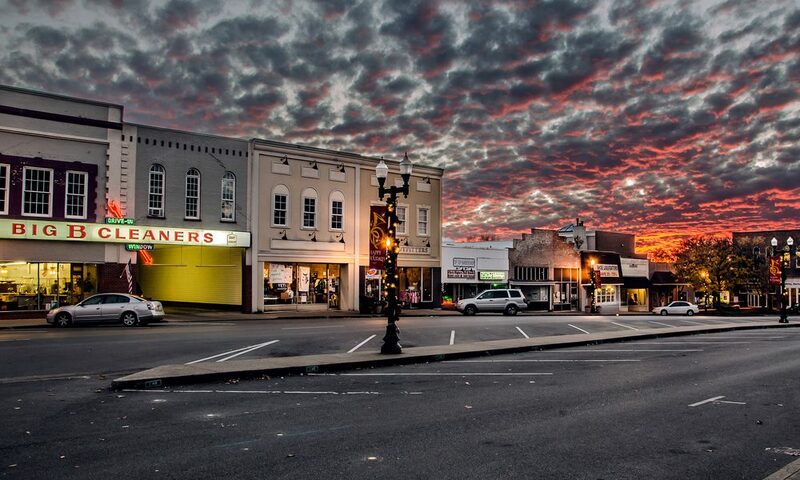 It’s been an amazing two years of exponential growth in Murfreesboro. As our business continues to grow, we’ve been inspired and encouraged by the changes in our city and by people’s palettes. Some of our favorite catering events are the weddings in Rutherford County. Murfreesboro and the surrounding cities have some of Middle Tennessee’s most popular venues, and we love catering to our couples and their guests on such a big day! As Murfreesboro continues to support businesses, tourism, and its citizens, we’ve gotten to work with some amazing, exciting clients who have a passion for food and new flavors. As more and more people learn that we’re a local Murfreesboro caterer, they are even more supportive! They’ve embraced our bold flavors and our inventive, creative style of food and food presentation. 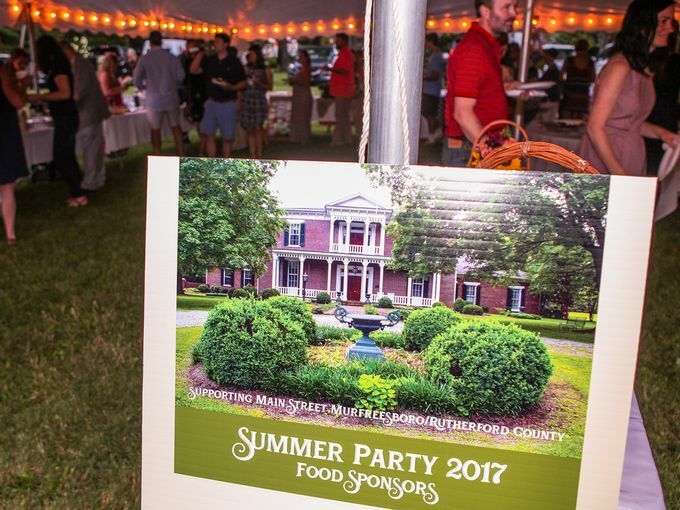 We’ve been able to share STF Events & Catering with more Murfreesboro residents by our participation in the Taste of Rutherford and the Main Street Farmers Market for the last several years. At these events we get to show off how we take simple ingredients and elevate them to create an innovative dish. 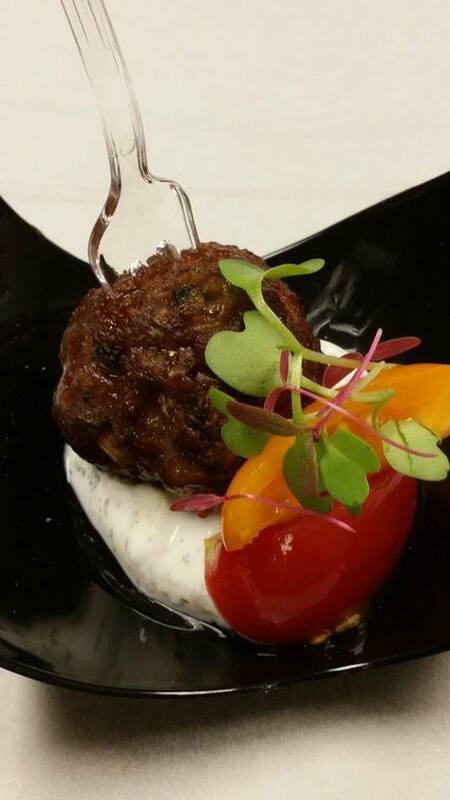 For instance, we used a simple meatball with local Farrar beef and turned it into a Keftede, a beef meatball with Greek flavors and tzatziki sauce. 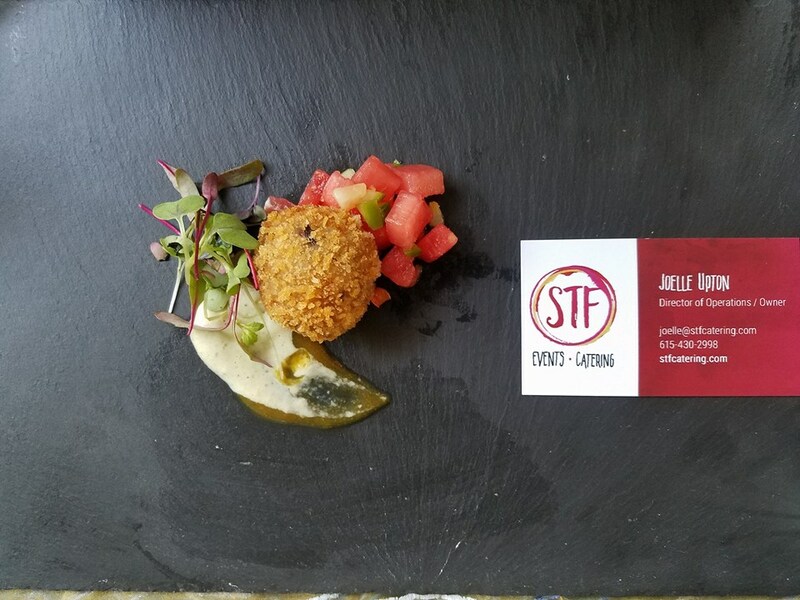 Most recently we used rice and beans to create a Costa Rican Gallo Pinto Risotto Fritter Con Cerdo, which is a pork, bean, and rice fritter with pickled watermelon salad. As a Murfreesboro caterer we think it’s important to share our food with Murfreesboro residents, and these community events are a great way to do it! Like other small businesses, we always strive to “think local,” and for us that means contributing to community events and being involved in the Rutherford Chamber of Commerce, of which we’re proud to be a member. 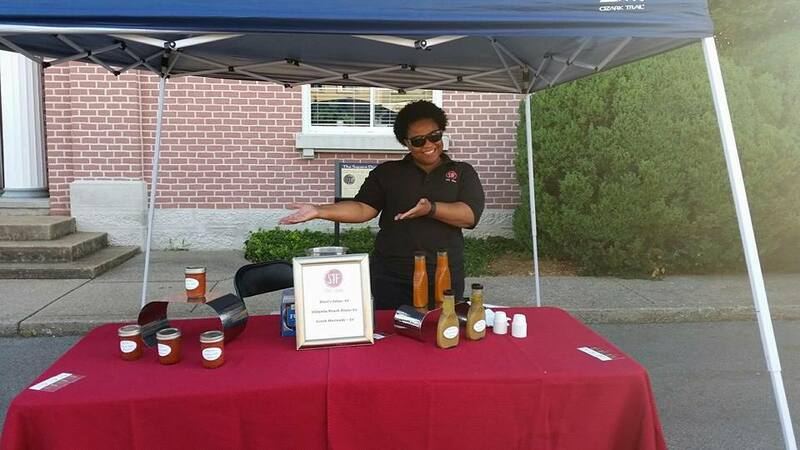 We’ve also been a staple at the Main Street Farmer’s Market in Murfreesboro over the last few years. Under our tent we’ve sold EVOriginals, our line of small batch salsas! We’ve received so many compliments and great support from Rutherford County in this new endeavor. In addition to our serving local folks and participating in Rutherford County events, we cater events across Murfreesboro. We serve couples married in the area by catering their weddings at nearby venues, and we are a popular Murfreesboro caterer for Rutherford County corporations’ events, holiday parties, and dinners. For twelve years we’ve been offering our version of Southern hospitality to Middle Tennessee residents by cooking local, and we wouldn’t have it any other way! Loved your post and ways you turn out new cultural food ideas to reality. Our local catering scene is also pretty culturally diverse and we’re always looking for ways to deliver to local yet multicultural audience here. Thanks for sharing your experiences! Your friendly colleagues from up north 😉 Alex.